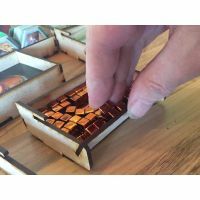 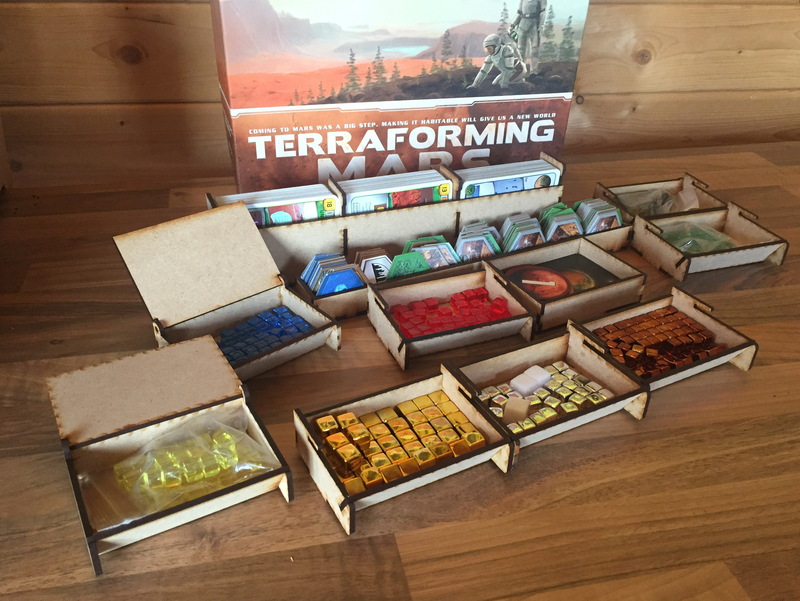 Each player has their own colour cube box. 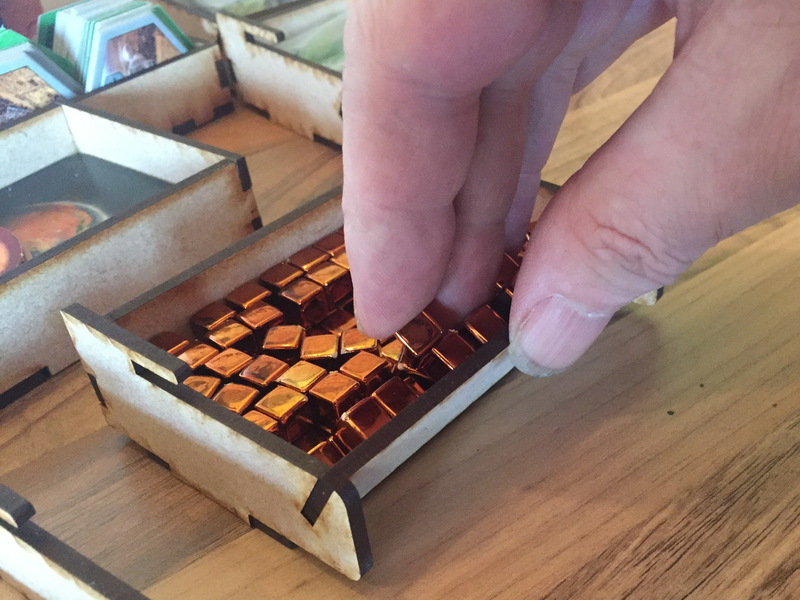 There are three easy-slide boxes for the copper, silver, gold credits. 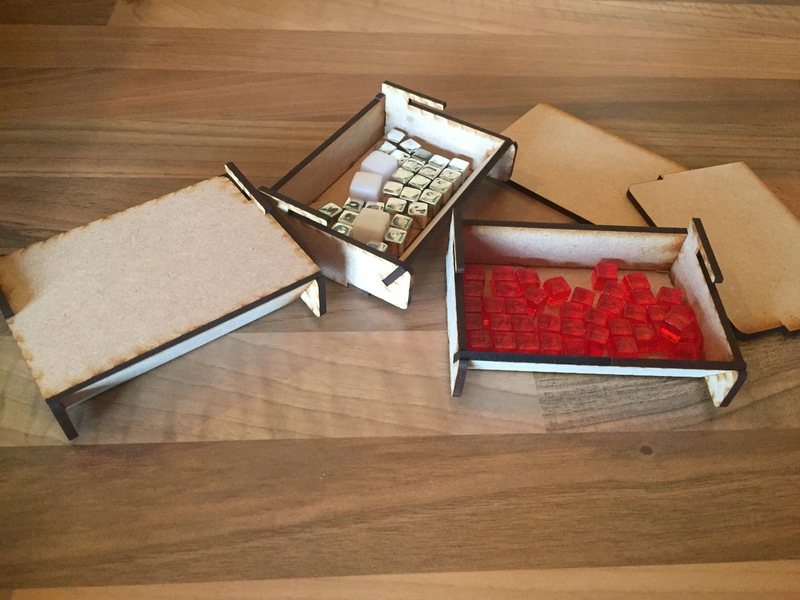 One tall box for the cards, one short box for the hexes and 1 miscellaneous box for bits and pieces. 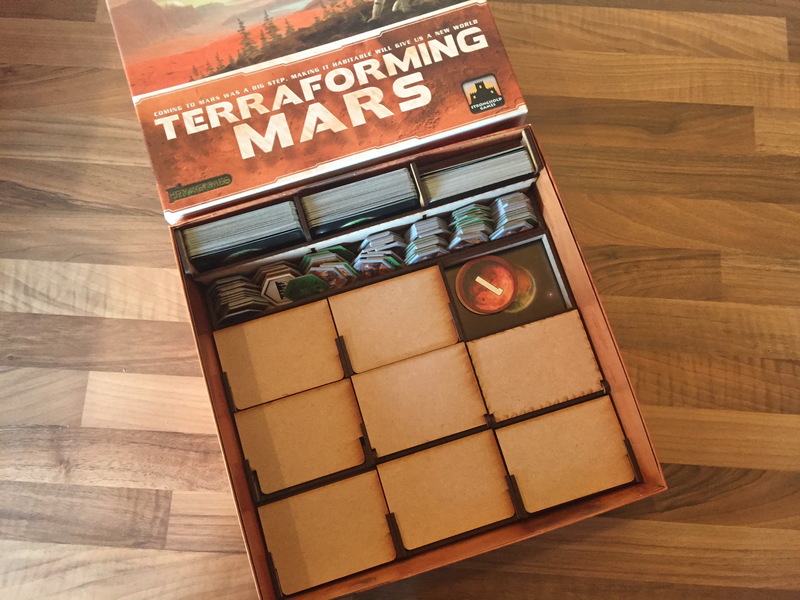 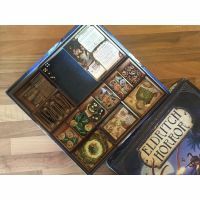 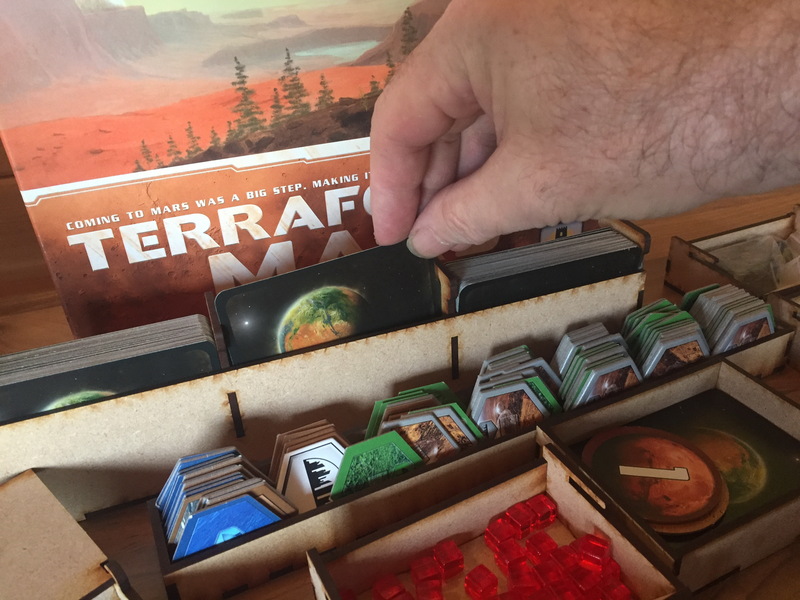 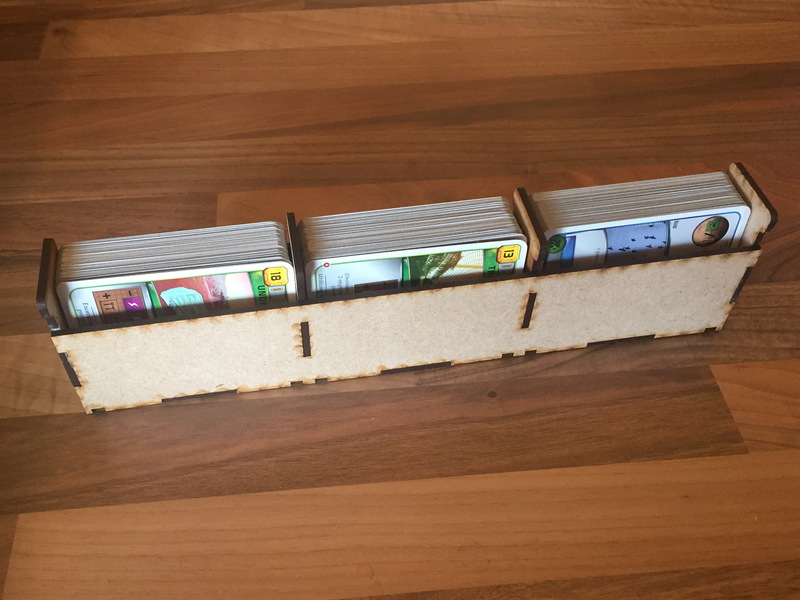 Literally 8 boxes to the table in seconds you are ready to play.